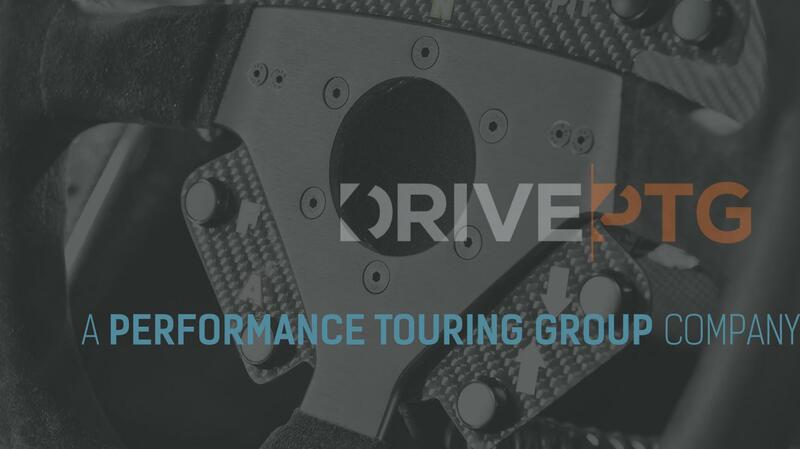 Sweet Spot sat down with pro-driver John Dubets (JCD) of Drive PTG to learn some of the secrets of his trade and how he runs his pro-level teams. 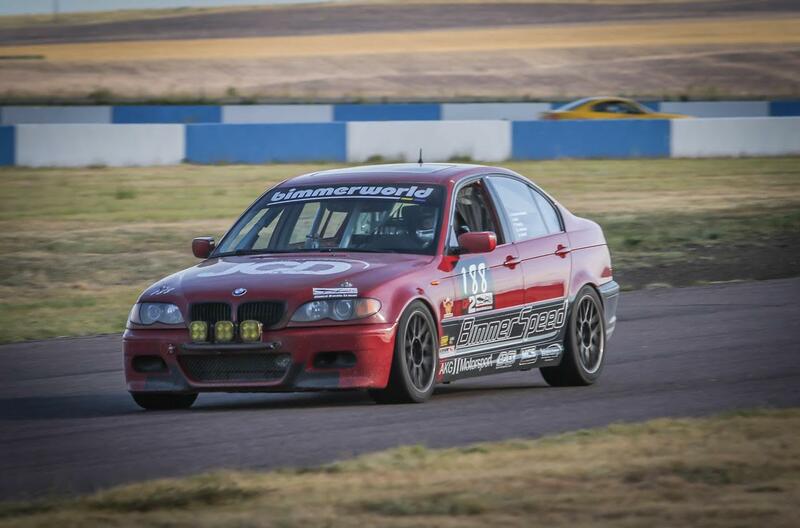 Drive PTG is running a full race program for all World Racing League events in their trio of hot E46 BMWs. Seats available. I wanted to build a ladder system for my coaching clients to utilize to meet their driving goals and dreams. I felt like there was a big gap between racing schools to club racing and then into pro racing. At PTG we as a team created a one stop shop for your sports car needs. Were not only an "Arrive and Drive", we offer vehicle prep, service, maintenance, storage, transport, trackside support from professional crew, coaching from professionals IMSA/PWC drivers, vehicle set up at the track, driver development tools such as SIM work, Data coaching (AIM, MOTEC, ECT), Video and media on race weekends, driver management, and hospitality with friendly faces. Tell us about some of the goals you have for drivers that race with you. Whatever puts a smile on their face. We listen to what they want to achieve, then help get them there. I’ve had clients that simply say, Hey I just want to run track days and get a track record, to clients that say I’ve never raced and I want to win the Rolex 24 hours of Daytona. For our drivers in the endurance programs it’s all about the 24-25 hour races. Our goals are to make you competitive while having fun. Pre-race the cars are torn down and gone through thoroughly, then all scheduled maintenance is performed. Cars are then scaled, aligned and dyno-ed for classing. We use a double sign off check list to ensure nothing is missed, We will go as far as calling the clients to make sure no sizing conflicts will occur, and if so, we make necessary changes to accommodate the drivers. Cars are washed and loaded with the spares and off to the track. Once at the track we set up everything, register our drivers, and set up a team strategy for the weekend. Trackside we do whatever it takes to ensure our clients get the most out of their race weekend.  Our Tech's are all brand specifically trained. We use IMSA/PWC level crew/car chiefs to make the experience just like the pros. Making the team to run not only efficient at pit stops but also come up experienced with strategies to overcome whatever a race throws at us. We run matching BMW's SPEC E46's with spare packages. We have Two currently available to race, with a third one in the works. Cars are top tier builds, with all the best parts offered. Cars are also equipped with AIM data/video systems for all your coaching and driver development needs. What’s your favorite race car? That’s hard, I grew up a mile from Laguna Seca watching CART, INDY, HISTORIC CANAM and many more. My Dad and uncle were both die hard Shelby guys. I’ve always had a sweet spot for the Europeans like BMW Touring cars and Porsche cup cars, but I'd love to wheel a Trans-Am or V8 supercar someday! RIGHT SEATING... Or coaching from the passenger seat. Anytime your helpless and you know it’s coming... That’s that scariest in my opinion. I got into racing by thinking my family would laugh at me and they embraced it. I then took my college scholarship fund and went to Skip Barber Racing School. 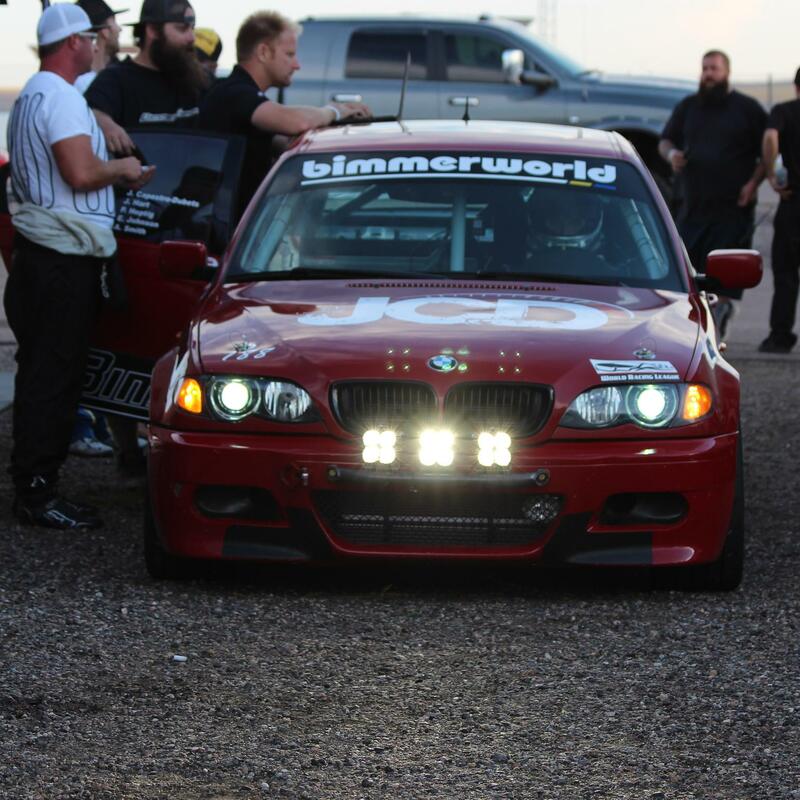 From there SBMX5 Cup, and then to the pro's with BIMMERWORLD in GRAND-AM. As far as being a car guy, I’ve just always loved driving. As a little kid I had a little BMW plastic battery powered car. Then progressed from the bicycle to an ATV, then Dirt Bike, Sand Rail, Baja Truck, M3 street car, Mx5 Cup, BMW 328i GRAND-AM SPEC, Porsche GT GRAND-AM SPEC and more. I truly love cars, trucks and everything else motorized. Who are some of favorite racers? We will measure our success as any race team should, by our performance on and off track. Our clients’ goals are our focus, while racing to win. We look to win races with our eyes on championships. Any advice for us amateur motor heads to help us go faster? Don't focus on going fast or faster. Focus on isolating and identifying your strengths and weakness as not only a driver but racer. Give yourself simple goals per session and then put it all together. Smooth is always more rewarding then over driving, just don't let smooth become a Sunday drive. Look to get advice from those with successful racing backgrounds and not just your average Joe's at Autocross. Be open to try new techniques and if they don't work be quick to drop them. There are many more racing tips that I am happy to share with anyone that wants to come chat racing with me.